Here Ye Here Ye “Rental property tax law changes go into effect this year” Yes more great news for those who own Real Estate – NOT! 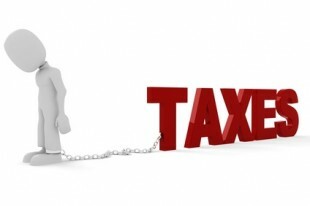 If you are the owner of rental property there is a pretty significant tax law change going into effect for 2012. As of this year anyone who owns rental property must now report all vendors doing work that exceeds $600. For the landlord that holds multiple rental properties this really is nothing new as they have been required to report this to the IRS. Last year however, the Federal Government enacted the Small Business Jobs Act of 2010 (H.R. 3297) that expanded the reporting requirement to include ANYONE who owns rental property. To put it bluntly the little guy is now required to send a 1099 to contractors working on their homes. If you are the owner of rental property it means you now have a legal obligation to collect information from contractors doing work at your property including their name, address, tax identification number or social security identification. You must also keep a detailed record of what you pay them through out the year. Again at the end of the year you are obligated to send them a 1099 form. The property is only a temporary rental of your primary residence. The income generated from the rental does not meet minimum threshold requirements. Putting together the forms necessary to complete the reporting to the IRS would create a hardship for you. As of this writing the IRS has not determined what would be considered the minimum income and what constitutes a hardship on your part. Expect the IRS to update these requirements soon. In the meantime do not let this deter you from keeping detailed records. The requirement for keeping diligent records applies to all contractors doing work including but not limited to painters, electricians, plumbers, carpenters, landscapers, cleaners and even your accountant. Anything associated with running the business of having a rental property is included in these calculations. When calculating the work that was generated on the property recoding keeping becomes vital because if you have a landscaper doing work in the beginning of the year that amounts to $350 dollars and later on in the year does another $300 dollars worth of work the burden of providing this information becomes necessary under the new rules. 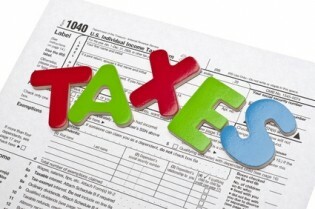 The IRS has not set the important tax dates as of yet for the 2011 tax year. These dates will become important to have on your calender as the penalty for reporting late will be $250 dollars. You will be able to file a 30 day extension for getting the tax forms to the IRS, however, this will not apply to making sure you get the appropriate forms to the contractors who have done work on your property. The contractors are going to need to have these forms in order to complete their own taxes and the burden is on the rental owner to provide them in a timely fashion. If you are the owner of rental property you are probably aware of all the tax deductions available to you. If you are considering purchasing a rental property for the 1st time you may want to brush up on the rental property tax deductions. Of course this becomes an important piece of the puzzle come tax time! Have you gotten to the stage in your life where owning rental property may no longer be a desired part of your long term financial plan? Maybe you are just not that happy with all the rental tax law changes? There comes a point in time when you may have decided to throw in the towel. Owning rental property may no longer be at the top of your list for ways of making yearly income. There is no question that while rental properties can be lucrative they can also sap you of a lot of time and energy. If you have realized this is how you feel and want to sell your property, consider whether it makes sense to sell your home with the tenants still occupying the property or not. You should definitely understand the pro’s and con’s of selling a home with tenants. Consult with a local real estate agent and see what the local customs look like. Be prepared for the Realtor to advise you to sell with the tenants out of the property. From personal experience it can be very difficult to sell a home when there are renters still occupying the home. It can actually be a nightmare if the tenants do not want to leave. They will make showings difficult and more than likely not keep the property in show ready condition. These are things you should take into consideration when deciding to sell with or without a tenant. About the author: The above Real Estate information on rental property tax law changes was provided by Bill Gassett, a Nationally recognized leader in his field. Bill can be reached via email at billgassett@remaxexec.com or by phone at 508-435-5356. Bill has helped people move in and out of many Metrowest towns for the last 27+ Years. I service the following towns in Metrowest MA: Hopkinton, Milford, Southboro, Westboro, Ashland, Holliston, Medway, Franklin, Framingham, Grafton, Hopedale, Mendon, Upton, Northbridge, Shrewsbury, Northboro, Bellingham, Uxbridge, Worcester and Douglas. Bill – the whole 1099 thing needs to be repealed. It’s a paperwork nightmare. Bob I have heard rumblings that there are lobbyists trying to get it repealed. Hi, these great tips and such a great article about tax on rental property, Our property management services are built with the idea that our customers who invest with HeadAcheFreeRealEstate.com do not want to be inconvenienced by their investment. Our investors want a clear, transparent picture of what’s going on, a responsive team that will be there for any questions or concerns they have along the way and most importantly an asset that cashflows and is growing their net worth.